My sister tried this when Airasia introduced it few years ago. And she was going all crazy for it. She told my entire family and friends to try Bukhara Chicken Briyani. I have traveled frequently with Airasia but just that time was never right to order a meal, until this CNY when we were flying back to Penang we decided to have in-flight lunch. So DH ordered Pak Nasser's Nasi Lemak (our favorite) while I got a chance to order Bukhara Chicken Biryani. It was so delicious and so authentic - I enjoyed each and every grain of that Biryani. If you ever get to try this go for it. You will never regret that. 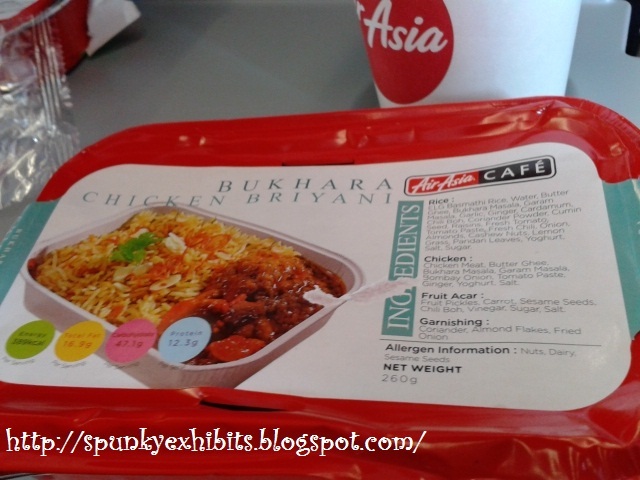 A taste of authentic Indian food (even though it says Bukhara).